Are you insync with your body? Do you listen to what your body is revealing to you? Every day you have a choice on how to take care of your body. 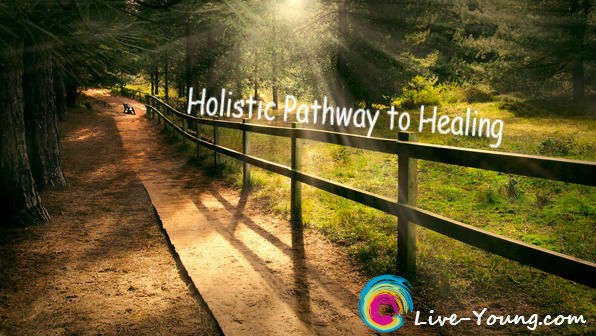 You can choose the ‘holistic pathway to healing’ versus the ‘chronic disease’ path. Life offers a choice of being committed to your health and selecting habits that support your life mission. Holistic has to do with healing the human body as an interconnected whole with alternative natural methods. Do you try to follow eating mostly plant foods and not too much? I know it sure can be a challenge in our fast paced society. When I think about how processed convenient foods are manufactured with ingredients out of a jar that was enough to sway me to eat healthier. Consuming whole foods with real ingredients that are grown in the ground allows your body to heal itself. Eat more fruits, vegetables, beans, seeds and nuts and less animal products. Choose the pathway to natural healing with antioxidant rich plant foods. What is your power of belief? Do you believe you can heal your body from cancer, diabetes, heart disease and other chronic diseases with your mind and plant foods? I do! Positive thoughts is everything to healing. Two of my favorite people who practice the power of belief and overcame serious health conditions. Louis L. Hay and Robert B. Dilts both focus on the power of belief in naturally healing the body. Louise published her first book, Heal Your Body, in 1976 long before it was fashionable to discuss the connection between the mind and body. Her book details the mental causes of physical ailments, and developed positive thought patterns for reversing illness and creating health. Louise put her philosophies into practice when she was diagnosed with cancer. She considered surgery and drugs, and instead developed an intensive program of affirmations, visualization, nutritional cleansing and psychotherapy. Within six months she was completely healed from cancer. Robert has been an author, developer, trainer and consultant in the field of Neuro-Linguistic Programming also known as NLP since its creation in 1975 by John Grinder and Richard Bandler. Robert is a prolific contributor to the field almost since its inceptions. He has greatly added insight into modeling excellence, vision and mission alignment, in addition to the ground breaking work on belief change. Robert based his contribution to belief change after assisting his mother in beating breast cancer with the power of NLP. Beliefs: Pathways to Health and Well-Being by Robert B. Dilts. Learn strategies to transform ‘unhealthy’ beliefs into lifelong constructs of wellness. Heal Your Body by Louise L. Hay. The mental cause for physical illness and the metaphysical way to overcome them. Heal your body naturally so you can live and look young now! My blog writings focus on actionable information about anti-aging, physical activity, eating healthy, healing your body naturally from the inside out with nutrition so you can live young every day! Take a moment to opt-in to my blog for healthy posts right to your Inbox every month. Come on over to my Facebook page and ”like” Lou Ann Donovan Live Young Now for more healthy living young tips! Causes of Cravings: What Does My Body Want?